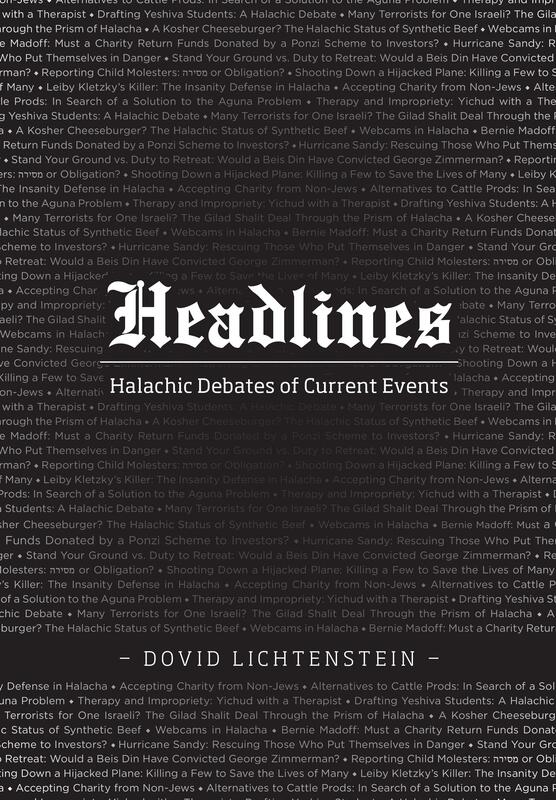 In Headlines, Dovid Lichtenstein takes items drawn from the news as starting points for in-depth halachic analyses of questions at the forefront of our contemporary conversation. A small sample of issues discussed in this wide-ranging book: Must we rescue people who ignored evacuation warnings during Hurricane Sandy? Should one report suspected child molesters? How can we solve the problem of recalcitrant husbands and agunot? 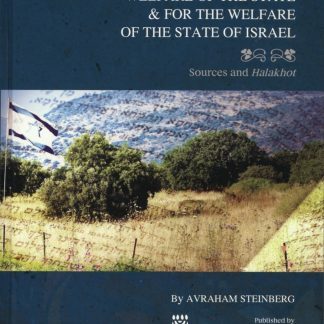 What is the halachic status of lab-created beef? 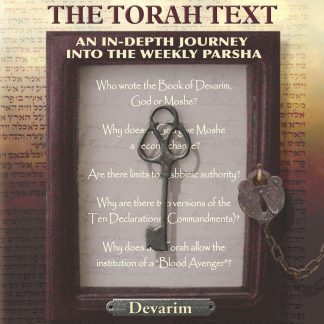 Employing the classical yeshivah method of learning, combined with clear language and broad scope, the author finds relevant halachic analogues for new situations in classic sources. 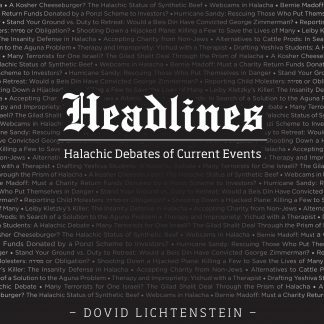 Dovid Lichtenstein is the founder and CEO of The Lightstone Group, one of the largest privately held real estate companies in the United States. He studied for five years in the Mir Yeshiva. 3. Stand Your Ground vs. Duty to Retreat: Would a Beis Din Have Convicted George Zimmerman? 4. Reporting Child Molesters: מסירה or Obligation? 10. 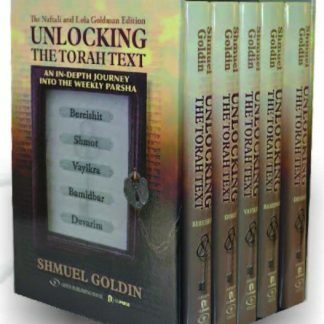 May Halacha be Violated to Avoid Embarrassment? 17. 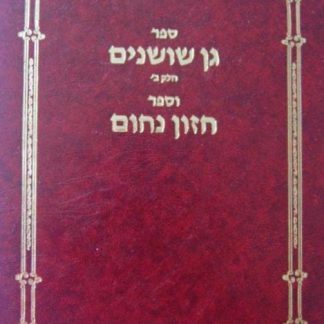 Can a Child Have Two Halachic Mothers or Fathers? 19. Family Planning: May a Couple Delay Having Children? 20. Are Internet Filters Halachically Required? 31. Bernie Madoff: Must a Charity Return Funds Donated by a Ponzi Scheme to Investors? 34. Is One Liable for Damages Caused by Sending a Computer Virus?